One weekend you are shooting GT3 race cars on one of the most beautiful race tracks in the world and the next weekend you a doing a leisurely stroll in between the best Volkswagens in Europe. 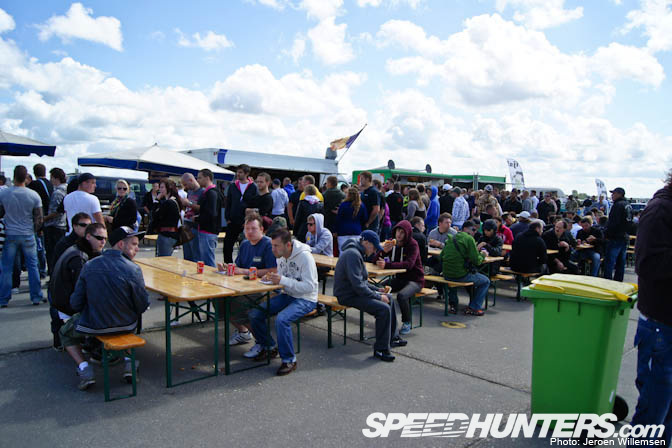 I guess that is the life a Speedhunter lives. But you won’t hear me complaining, not at all. I really had to adjust to the pace after a race filled weekend in Belgium. Once I got to meet some of my motoring friends it was time to get the camera out. 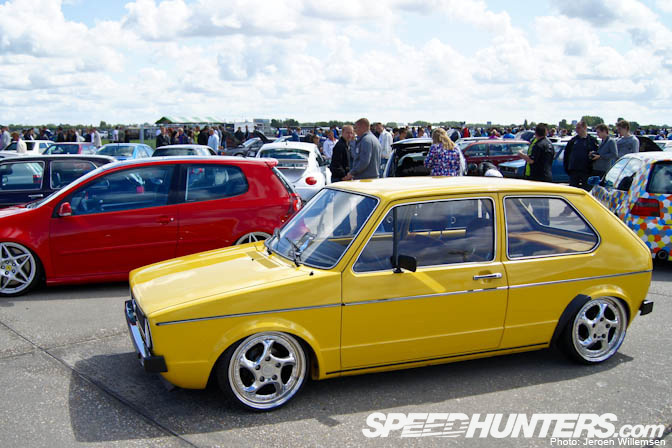 M.I.V.W is the event to go to in Holland when you have any interest in Volkswagens. The cream of the crop in Europe converges on a deserted airfield in the west of Holland. Every year it gets bigger and bigger and the quality of cars keeps getting better. But it’s not all about Volkswagen because you will find almost every car ever made inside the VAG group. This freshly repainted Audi RS4 showed its brand new Rotiform Super Concave SNA. Spotlight anyone? This new gen Scirocco proofed that gold and green are a perfect match. The UK scene is leading the way with the new generation of wheels while the Dutch and the Germans are still a firm believer of the old school BBS. A car that keeps doing the rounds is this MKI owned and built by ‘Big Ron’ Huijzer. 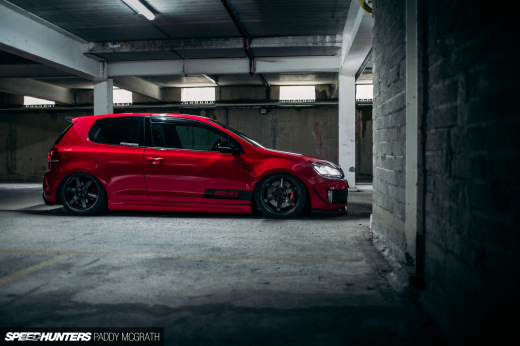 This car has achieved legendary status after its Performance VW feature amongst the dubbers worldwide. A wheel that I have seen before on a Golf but not on the new MKVI. I really liked the yellow foglights on the all black exterior that are tied in together with the yellow Lamborghini brakes. But this Ferrari wheel was new to me. Seeing that car is red and all I guess the owner went for a Ferrari themed car. The wheels originally came from a Ferrari 599 GTB. Here is a car from Holland rolling on old school BBS wheels. The fitment on this car was beyond perfect. If you are more interested in older generations of the Golf you would have loved M.I.V.W. There were so many different styles and variations I lost count. This yellow MKI on slightly bigger rims than the norm looked very promising. I also saw some familiar faces that I met at the Wörthersee Tour including Kristian with his stunning Audi A5 Sportback. Here is a personal favorite of mine. Last year I shot the car at the VW Fanatics show and the owner hasn’t changed anything since, just the way I like it. But with any car show it isn’t any fun without the people. You can meet new friends and see old friends again while enjoying each other’s company and sharing great automotive stories. I did find it a bit difficult to get something to eat because there was a huge queue that lasted the entire day. These group of friends came from the UK. The gentleman in the front had a huge tattoo showing a car graveyard full of Volkswagens and a Beetle in the middle that had been resurrected. The stage had a ramp for the cars so they could get on and off. A presenter welcomed the audience and explained a bit more about the car that was on stage. It was in multiple languages due to the international nature of the show. Back to the cars with this beautiful Audi TT. This Lupo was part of the new generation. The details and finish on this car was amazing. It had a smoothed engine bay painted in fucsia. Inside it was a fully built 6N2 GTI engine with too many parts to list here. The exterior consisted of a lot 3L Lupo parts that had been modified in one way or another. It rolled on these custom Zender Turbo 2 wheels in 15″x7 et30. 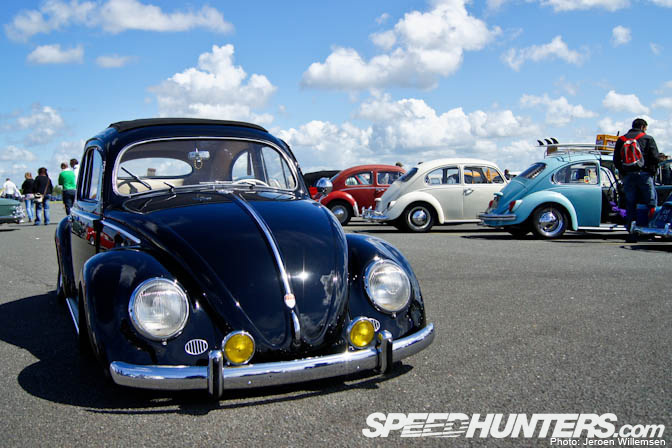 One part of the runway was reserved for the aircooled cars that included this immaculate Beetle. 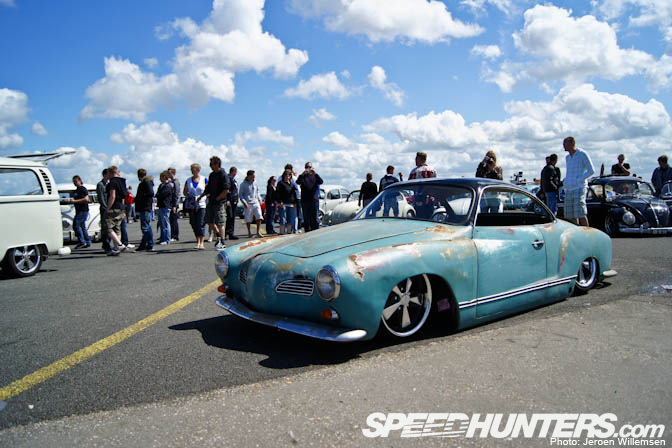 I spotted this Karmann Ghia literally sitting on the ground. During the day it attracted a lot of attention. At first I wasn’t sure if it was just a shell but I witnessed the car driving later in the afternoon and yes it was still that low, true dedication. The interior looked and smelled 30 years old. 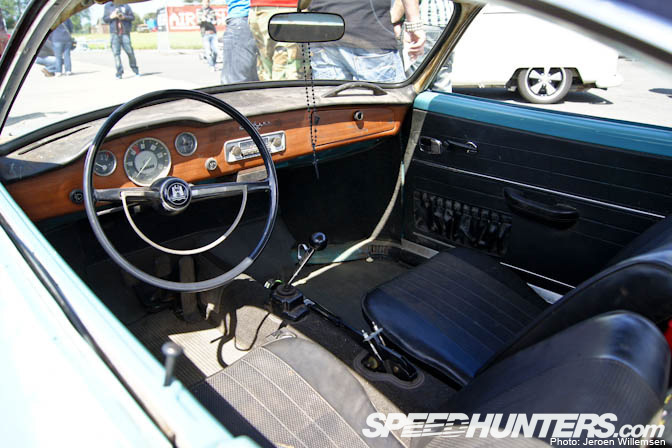 You always have to keep your eye out during these Volkswagen events because otherwise you might miss a lot of details like these shotgun shells as wheelnuts. looks like a good turn out.. yeah i remember that Corrado.. still looking good! love the Black Beetle. lets see if you can un-earth something refreshing from this show.. i know the innovators have been very busy.. Ferrari 599 GTB rims?? i'd have colour changed them just for 'devilment' - wicked. Heeeey what's going on here, the arrows on the Zender Turbo 2 go the wrong way!! Subtle touch or silly mistake? A bit puzzling really, I'd want them drawn on correctly, it's a stylistic feature anyway but still..
Why oh why did Volkswagen not export the Scirocco to the US, that is one of the best looking stock cars made in the last 15 years. That Ghia and the orange RS4 avant are perfect! The concept of that guy's tattoo seems cool. Any chance we can get a close up of it? Those were pretty amazing cars! I personally love the beetle car, my friend has a Volkswagen Beetle. What I love about it is its exterior design, the high rounded roofline make me feel that I'm in a moving cave, well it was my friend's car I just got a ride, I so envy him for having such. im sure the owner with the turbo wheels put it wrong on purpose. to tick off most people probably. haha! Still no seats! they are VAG also but you never see them on speedhunters! Love it, the Lupo's wheels have the arrows painted in the wrong direction. Never understood the thing of taking wheels from a different car. Lamborghini/Corvette/Ferrari wheels under a golf? really? What wheels has that reed Audi on first foto ??? I love low cars and asses! Every year mivw keeps getting bigger, i'd say the number of cars didn't go into the hundreds, more in the thousand. The show area was completely full, and the outside parking was also close to filling up completely. I'll deff be there again next year! @Matto @Observant , maybe he recently rotated his tires? So many nice cars, and while I like the new generation of Rotiforms etc, you really can't go past the love for old school wheels IMO, especially on the slightly older cars. Orange A4 is beautiful, Black beetle is amazingly clean looking, nice MK1, but I don't think the Lambo setup on that MK6 works, it looks odd for some reason(too low maybe, can't believe I just said that! ), yet the Ferarri setup looks wild on the MK5!!! 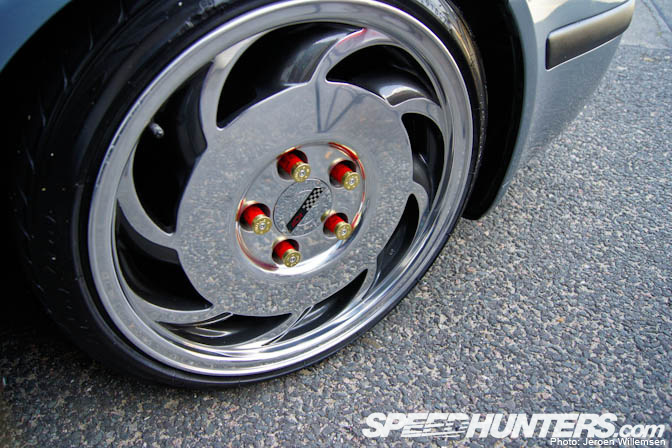 Putting Ferrari wheels on a Golf is even worse than someone wearing a Ferrari shirt and driving a Civic.